This volume analyzes vulnerabilities and protection strategies of modern societies in the changed security environment since the end of the Cold War and in particular after the 9/11 terrorist attacks. The authors of the first few chapters explain the structural and cultural context of human or homeland security. The issue is discussed from several national and regional perspectives focusing on different aspects of social security. The remaining chapters focus on the protection of critical infrastructure. Editorial. "Homeland / Societal Vulnerability and Security." Information & Security: An International Journal 17 (2005): 5-6. Patinov, Bozhidar, and I&S Monitor. "Bulgaria in NATO: Challenges to Civil Emergency Planning." Information & Security: An International Journal 17 (2005): 147-149. Monitor, ISIJ. "Homeland Security Internet Sources." Information & Security: An International Journal 17 (2005): 150-154. Monitor, ISIJ. "Books Related to Homeland Security." 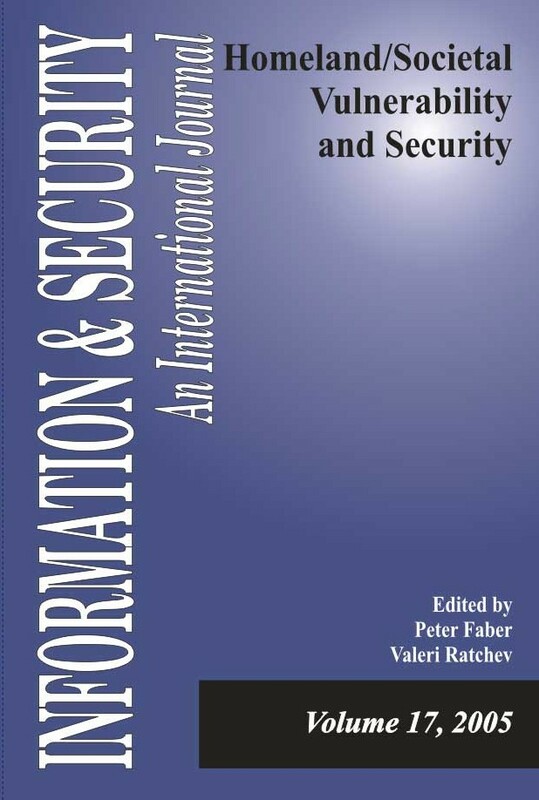 Information & Security: An International Journal 17 (2005): 155-159.